The great city is not the one that has highways, but one where a child on a tricycle or bicycle can go safely everywhere. Proper funding for active travel – 10% of the transport budget nationally and locally. 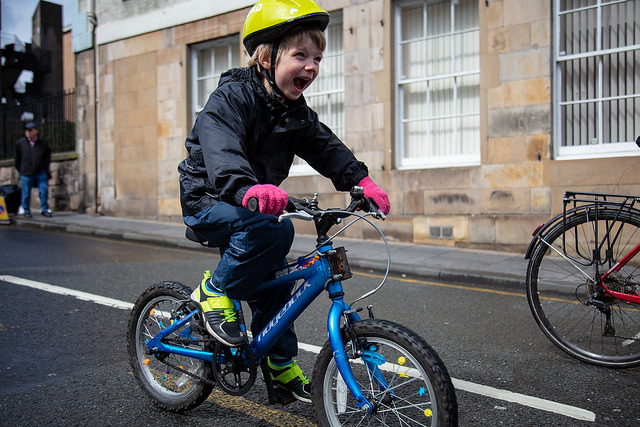 Design cycling for all ages and abilities into Scotland’s roads. Safer speeds where people live, work and play. Safer HGVs around cyclists and pedestrians. A strategic and joined-up programme of training for all road users. 1. Proper funding for active travel, with a high and rising share of the transport budget committed to cycling nationally, and locally. While acknowledging that road traffic law is effectively reserved to the UK Government, traffic law must do more to protect the most vulnerable road users such as cyclists, pedestrians, children and older people. The CAPS already includes a commitment to investigate the feasibility of introducing ‘strict liability’ – we would reiterate that this must not be sidelined. At the very least a law of presumed liability should be introduced to protect vulnerable road users. 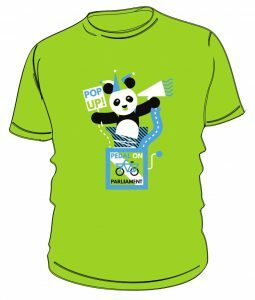 Restrictions on parking in bike lanes and on pavements should be strictly enforced and, given a lack of police action on these issues, those local authorities that have not requested decriminalisation of parking enforcement should be encouraged to do so. Where 20mph zones have been brought in they should be properly policed and sentencing must be appropriate when drivers cause harm. Cavill and Davis (2009) Cycling and Health:what’s the evidence? Cycling England. and Sloman, L., Cavill, N., Cope, A., Muller, L. and Kennedy, A. (2009) Analysis and Synthesis of Evidence on the Effects of Investment in Six Cycling Demonstration Towns, Report for Department for Transport and Cycling England. This is in line with the recommendation that 10% of the transport budget be spent on active travel made by of the Association of Directors of Public Health in Take Action on Active Travel: why a shift from car-dominated transport would benefit public health (see http://www.adph.org.uk/wp-content/uploads/2013/08/Take_action_on_active_travel_20104.pdf) and supported by Transform Scotland, Paths for All, Ramblers Scotland and Sustrans. Morgan et al. (2010) Deaths of Cyclists in London: trends from 1992-2006, BMC Public Health 2010, 10:699. Equivalent studies for Scotland don’t appear to have been done but it’s likely that the proportions will be similar.